In the world of eCommerce, inventory management is critical to delivering a great customer experience – because when your website says ‘out of stock,’ customers will look elsewhere. 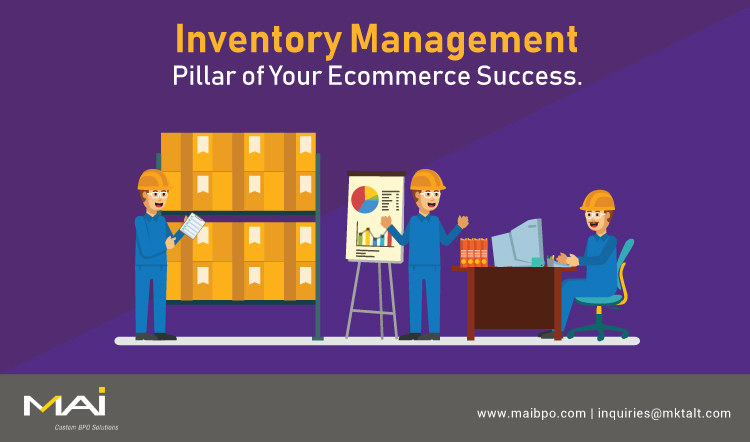 If you are an online store owner, mastering inventory management is a critical step toward eCommerce success. Zappos delivers a WOW experience by having a well-defined inventory management system where each model shoe or clothing is given an individual SKU. Similarly, Macy’s has a P2LU (Pick the Last Unit) Program for inventory management which makes it an aggressive brand in the omnichannel retail space. Even after two centuries of being in the business, the vintage brand has a hold on its customer pulse, thanks to its efficient inventory management. Bill Hardgrave, Professor at Auburn University said in a recent national conference, "Accurate inventory is the single thing retailers have got to get right for everything else to work." Unfortunately, accurate inventory management is also the biggest challenge that almost every retailer has been trying to overcome in the recent years. The new click and collect business model that eCommerce has made habitual for customers is also making inventory management complicated. Poor inventory management ultimately results in several challenges that can have an instant impact on the customer experience. But, taming the complexity of inventory management can make the business turn around its service efficiency and stay on the top of the market pole position. Come Christmas or holiday seasons, there is a twofold or threefold increase in online shopping (Statista). Most retailers are underprepared to take on this sudden spike in orders. The under preparation is largely in terms of stocking up the right quantity of inventory. Poor inventory management can also be attributed to missed deliveries or delayed deliveries. A well-defined inventory management system, on the other hand, can iron out the wrinkles and keep errors to a bare minimum. For instance, a cloud-based inventory management can keep a real-time check on where inventory is stored while keeping close tabs on those in the stages of transit and last mile delivery. This helps control the shrinkage (lost items) to a bare minimum. Have you ever been in a situation where you took all the pain to add products to the cart only to find that they are stock-out? Well, it is a truly bad experience. So bad, it can turn away customers from shopping at your website forever! On the other hand, a punctual delivery can make things different. Getting their deliveries on time and without any damages is the ultimate expectation of any customer. Anything better impresses them. Accurate inventory management helps configure the storefront with those SKUs that are available for distribution. In fact, advanced systems can even plan for procurement and inform the customer when the product would become available next. In most cases, it is possible to inform a delayed delivery date. These measures help achieve the goal of delivering a better buyer journey. Imagine a scenario where your inventory management is messed up. Your inventory procurement will be off the charts. You will procure goods you do not want immediately. Chances are that they could deteriorate in value and quality when they are kept hoarded in godowns. In some industries, there is also the hanging threat of technological obsolescence which could make the inventory go obsolete. Proper inventory management can fix all these issues as well contain your business costs within the stipulated budget. Another allied benefit of a well-defined inventory management process is that it helps forecast the exact amount of inventory you will need over a period of time. In fact, companies like Nike, Caterpillar, Toyota, etc. have brought lean production system into their manufacturing fold with the help of their strong inventory management data. The data can be mined to unearth patterns about peak periods, cost fluctuations, the lead time for delivery and much more. But how can that impact customer experience, you might ask. Brands which have a command over their inventory can also fix prices that is best suited for their customers. They are spared from the need to carry over the high costs of last minute to customers. Instead, they are able to carry over the price concessions they gain from planned purchases. For more and more online stores as well as omnichannel retailers, inventory management is proving to be an insurmountable challenge. Well, it is a challenge, but definitely not an impossible task. Acing inventory management can bring to businesses several benefits. The primary benefit of proper inventory management is a superior customer experience such that customers get their orders delivered on time. They see the right products that can be instantly ordered and also delivered on a scheduled time. This in turn helps businesses find a rhythm for planning their operations. They are able to deduce a pattern when order volumes will surge and plan beforehand how to tackle it efficiently. The cost savings can also be transferred to customers helping them buy more for less price. In a nutshell, inventory management is the foundation upon which a legacy of great customer experience can be built.